Ice Bucket Challenge post mortem: is it possible to capture the lightning again? I’ve been waiting for the Ice Bucket Challenge to cool down (puns!) before taking a look at what went right with and whether it’s possible to replicate. Let’s break this down. The Ice Bucket Challenge started, as best we can tell, on July 15th when Chris Kennedy dumped a bucket of ice water over his head and challenged his cousin to either donate money to ALS research or dump a bucket of freezing water over her head. If you’re interested in seeing how it spread the Wall Street Journal has a good run down. From their it spread across social media with people posting short videos of them dumping ice water over their heads, tagging their friends in the posts, and challenging them to donate and do the same. At some point the whole either/or part of the challenge got lost in translation. Did the Ice Bucket Challenge work? Good god yes! Over the course of a month there were thousands (tens? hundreds?) of tweets, YouTube videos, and Facebook posts. On top of that the ALS Association is reporting that they raised over $100 million dollars. Keep in mind that during that same time period last year they raised just under $3 million. So that’s pretty much an unqualified success and ridiculously amazing for something that started so organically. 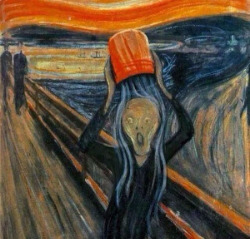 Can you recreate the Ice Bucket Challenge? No. Trying to recreate a viral campaign is a bad idea. They go viral due in part to their novelty. That being said we can look at what made it work and try and work that into future campaigns. Okay, so it works but we can’t just copy it wholesale. Fair enough. There are a few really good lessons we can learn from the Ice Bucket Challenge to apply to future campaigns though. 1) The timing was right. This campaign hit in the summer right in a depressing news cycle. Shot down planes, invasion of Ukraine, ISIS, etc. were all dominating the news. Then along came this campaign, which is entertaining, involved celebrities, and was easy to turn into a human interest story. I can’t count the number of stories I saw where it started off with the ice bucket challenge and then shifted to a story about a local person with ALS. As a general rule news programs aren’t keen on positive stories unless their human interest stories and the timing of this hit when they were dying to break up the depression. 2) It’s basically a chain letter. Or a pyramid scheme or multilevel marketing or whatever way you want to think of it. It quite deftly exploits your social networks to perpetuate itself. Seriously, the tag 3 friends bit is straight out of Cutco’s playbook and also kinda genius in a nefarious sort of way. 3) It used peer pressure, (mild) humiliation and guilt. By tagging you in the post the challenge calls you out in front of your friends. You can ignore it but then you’ll look bad. So you’re peer pressured and guilted into participating. Some people would prefer to call this social proof. The challenge itself is also a little humiliating or maybe humbling is a better word. Not enough to dissuade people from participating, but just enough that it’s entertaining to watch your friends dump cold water over their heads. 4) It targeted our vanity. We’re all a little vain and we all like looking good in front of our friends. The ice bucket challenge lets people show they care about something, show that they’re good people, and show that they have a sense of humour. Basically it’s a chance to show off. 5) It targeted celebrities. There’s no way this would have got the attention it did if it hadn’t targeted celebrities, which then got it on the national news. 6) It was authentic. This is the one that would be the hardest to replicate. The ice bucket challenge just felt authentic and not like it was cooked up in the back room of an office or that it had been focus grouped. I mean that’s because it wasn’t but still, you get the point. It was simple enough that anyone could have thought of it or started it and that’s something that people liked. They were on an equal playing field and not being directed by an organization.